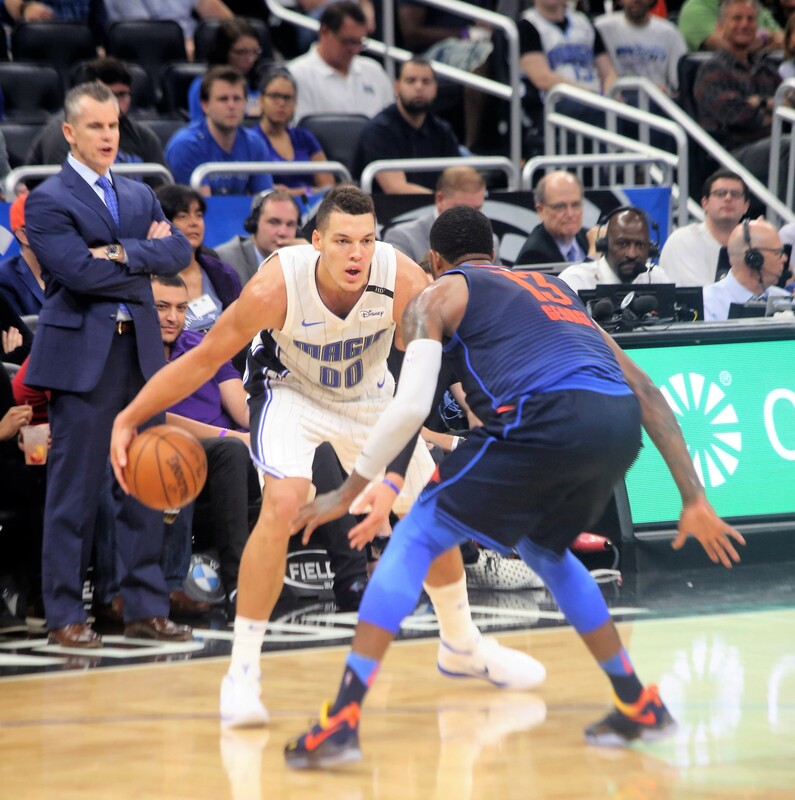 ORLANDO, Fla. (FNN NEWS) – The Orlando Magic entered Wednesday’s home game against the Oklahoma City Thunder struggling to find consistency on both ends of the floor. After 48 hard-played minutes, Aaron Gordon and his teammates ended their losing ways by defeating the Thunder by the score of 121-108. Gordon, who fell one point short of his career-high in points, scored 40 and led the attack that had five players score in double-figures. Aaron shot 13 for 23 from the floor after starting the game missing his first 3 shots. His points were a combination of him using his ability to get to the rim, hitting the mid-range shot and his skill of knocking down the three-point shot. Gordon hit six of them on the evening and all of those factors led to another breakout performance. He contributed 15 rebounds in the game as well. “He played within himself for the most part and as a result he shot a high percentage, his numbers are up because his minutes were up, but he played the right way most of the night and that’s what helped us get the victory.” – Orlando Magic Head Coach Frank Vogel on Aaron Gordon’s 40- point effort. Orlando broke the game open in the third quarter by going on a 13-0 run to put them up by as many as 22 points. Both teams played an even opening half, as the Magic led by 2. The story of the half, besides Gordon’s hot start, was the play of Magic point guard Elfrid Payton, who started the game by scoring 9 points in the opening quarter and had an impressive steal against Russell Westbrook that lead to an easy basket on the offensive end. Payton finished with 19 points, 6 assists, 5 rebounds and 4 steals. Westbrook led the Thunder with 37 points on 11 of 23 shooting. He hit 7 for 10 from the 3-point line. He scored 26 of his points in the second half. He also had 11 rebounds and 5 assists. Paul George had 22 points and 5 rebounds for Oklahoma City. Orlando will return home on Friday night when they take on the defending champion, Golden State Warriors at 7pm at Amway Center.